Dragon’s Maze is the final expansion in the Return to Ravnica block, and it closes the lore chapter (for the time being) in the Ravnica plane. Ral Zarek, the Izzet second-in-command, has found a mysterious maze that runs through a considerable portion of Ravnica. 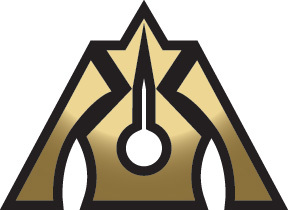 Dragon’s Maze contains one planeswalker – the aforementioned Ral Zarek has an ultimate which may allow players five extra turns if coin flips go their way. Voice of Resurgence (GW, 2/2) is one of the expansion’s most exciting cards, providing players with a token with a P/T of the number of creatures that the owner controls every time that an opponent casts a spell during the owner’s turn or the Elemental dies. When placed in a populate deck, the Voice of Resurgence will cause the end of many games. For those creature-heavy Green/Black decks, Deadbridge Chant (4BG) self-mills ten cards while allowing the player to choose a card at random. In those cases where the card is a creature card, the creature goes on the battlefield (other cards will go into the player’s hand). Finally, the Master of Cruelties (3BR) works perfectly in tandem with burn decks (an unblocked strike reduces the opponent’s life total to one). Wizards of the Coast has included an additional bonus in packs of Dragon’s Maze; each booster pack contains a chance to receive a shockland (cycle of rare lands) or a mythic rare (Maze’s End). This means that there is a small chance to receive three different rares or mythic rares in a single $3 purchase. 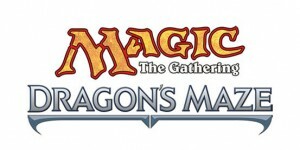 Packs of Dragon’s Maze can be purchased at any local gaming store or department store that stocks Magic: the Gathering products.